For the last decade TSS have been involved in placing chefs from all over the globe into Australian kitchens and in that time one thing has become clear; while every chef is skilled and passionate about their career none of our past candidates share the same story. 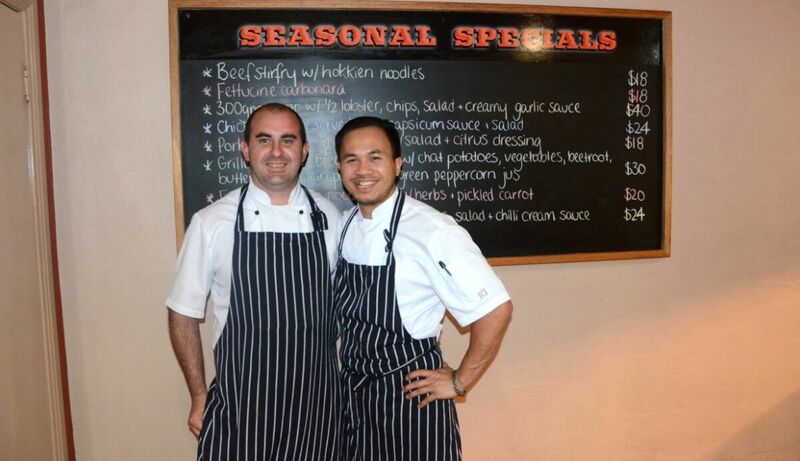 As a recent migrant to Western Australia Chef Chris, originally from the Philippines, has a wealth of unique and diverse cultural experiences that have shaped him and his career. Recently Chris was generous enough to take time out of his busy day in the kitchen to tell us his story, how his career began and what brought him to Australia. 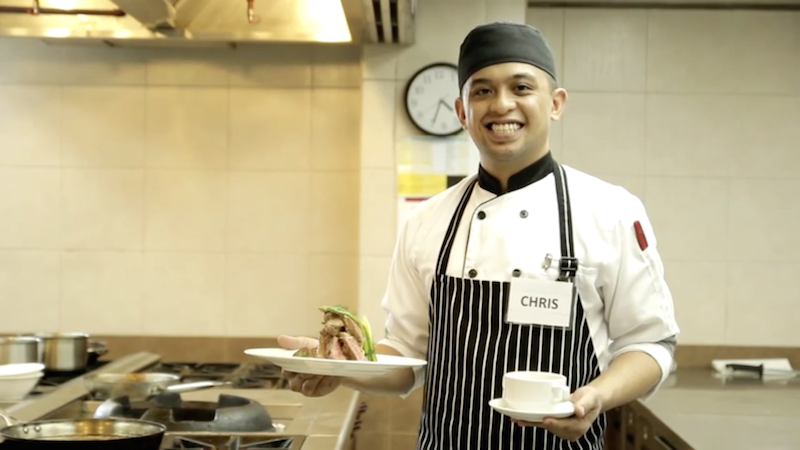 Growing up in Bahrain Chris traveled back to the Philippines to study the culinary arts, graduating there when he was 17. 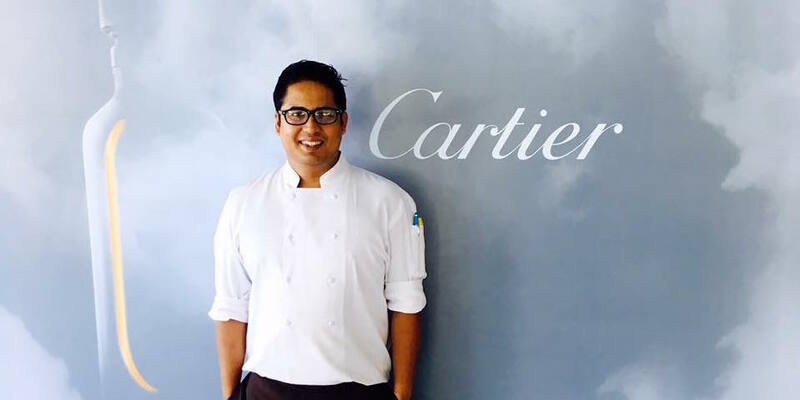 After returning to Bahrain he began working as a Commis Chef before receiving an offer from the InterContinental Hotel in Dubai. “Well Dubai is a big city” explained Chris “It was really good for a young chef starting out to be experienced in that environment, culinary wise and career wise with a really big company. Its really fast paced, I learned a lot of skills”. One of the best parts of that environment in his opinion, was the people he worked with. “People from South Africa, America, UK, France, pretty much all over…India, Indonesia. So you get to be in the environment where you’re surrounded with different cultures and you sort of adapt and you grow and you have fun at the same time”. Though his career in Dubai was going well, he was soon pulled back home. Three years down the track and Chris was exploring his career options. His contract with InterContinental was finishing and he was thinking about applying for work on an international cruise ship. However upon returning to the Philippines he heard about TSS. “It took a lot of time and money to get these requirements to work on the cruise ship and at that time I also got the opportunity with TSS” said Chris, who still feels the work requirements in the Philippines too strict. “I decided just to continue with TSS because I believed there was a better opportunity for me here in Australia”. That was two years ago, and Chris hasn’t looked back since. Taking up a position in a pub in Bunbury, Western Australia, he was excited to live and work in Australia. “I’d visited Australia several times when I was younger on family trips…I was really looking forward to coming over here”. Having worked in several large-scale busy kitchen teams before there was a lot of adjusting that Chris had to go through. “The kitchen here is busy however it’s also very organised” he said comparing Bunbury to his last positions. “[The] food is in a pub simpler in a sense that most of the food would consist of four or five main ingredients. You’ve got your chips, salad, steak, sauce….Guinness pies, salads you know, simple pub feed”. Despite there being a distinct difference in the pubs menu, Chris found fitting into his new team easy. “Every place, every country, anywhere that you go there would always be a little bit of cultural difference but to me personally its all about the attitude that you put towards it”. The way Chris sees it, it’s all about team work and focusing on the job, as well as a few jokes between workmates. “It’s a chef environment, in the kitchen…we have a reputation for being a little bit politically incorrect at times…that’s a fun side of it”. Since his migration Chris has helped his wife Chatty make the move to Australian shores. The pair met during his time at InterContinental Bahrain, his now wife also makes a living in the hospitality industry. While he isn’t yet interested in having kids yet there is one thing they still want to do together in the quiet town of Bunbury. “We have a bad habit of midnight snacks. We walk to a restaurant that’s open late and we can’t do that here unless we have a car”. The couple are food service people at heart, accustomed to late nights, early mornings and midnight snacks, but Chef Chris and his wife Chatty are happy to have traded up to a healthy work like balance and the rare opportunity to set themselves up for a happy future in Australia. Watch Chris in action bellow or contact our team at hello@tssgroup.com.au to place a chef like Chris in your kitchen today! 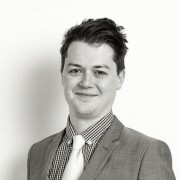 Next: "Meet the Team: Richard Riordan"
Previous: "How to use LinkedIn to your advantage"